Our first week back in classes was okay. The cold that has been chasing me for three weeks finally settled in. Ugh. My Dad is here with us for his last few days and we are trying to soak up the time with him. Getting back into school mode was difficult. May is filled with national French holidays, so this month’s schedule is off – we go to school on some Wednesdays (that we normally have off), but in turn, we have some three day weekends. We have some fun family events this month, too, but I’ll blog about those as they happen. This week our goal is to finalize our shipment heading to Congo. 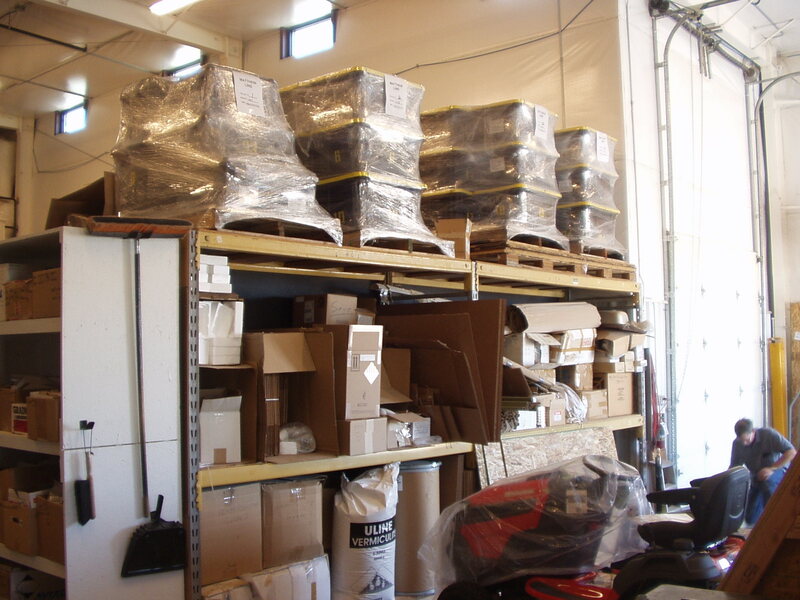 Right now, we have our bins stored at MAF headquarters outside of Boise, ID. The bins all wrapped in plastic, on pallets, waiting for us. Soon, they will begin their journey, hopefully arriving just before we do – in just 73 days. We have a few more things to add to the shipment, so that should be complete soon! Pray that we don’t forget anything – or, if we do, that it won’t matter! We are sending all of our paperwork home with my Dad, to Boise, so that he can turn it in to MAF for our Congo visas! Pray that the logistics go smoothly. So, lots of things happening, all of this besides the six hours a day of French lessons and the studying and homework and kids and home life on top of it. We’re ramping up to a busy time again and it can be overwhelming, but are ready to finish this leg of the race well. We are grateful for those who have come to visit and our Congo family here.